By Jonathan Keane , April 17th, 2018. Almost one year on from the introduction of the EU’s new roaming regulations, a study has found big discrepancies between the download speeds customers experience at home and when abroad. 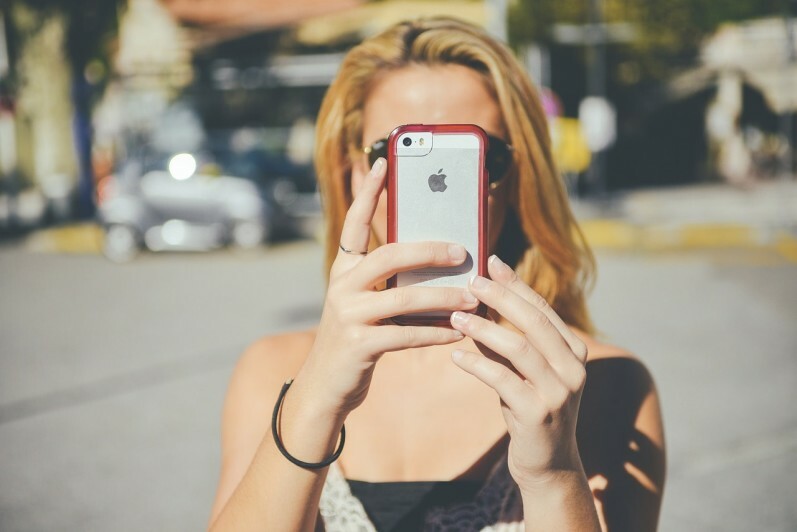 Last June, the EU finally passed its “roam like home” regulations that allow EU citizens to make calls and texts and use their data in other EU member states without incurring the massive charges typically seen when roaming. While there are some caveats on data use charges, the regulation change has been welcomed for the most part. Speedtest, the download speed checker run by Ookla, has found that there is a noticeable drop in performance when comparing download speeds at home and when roaming. 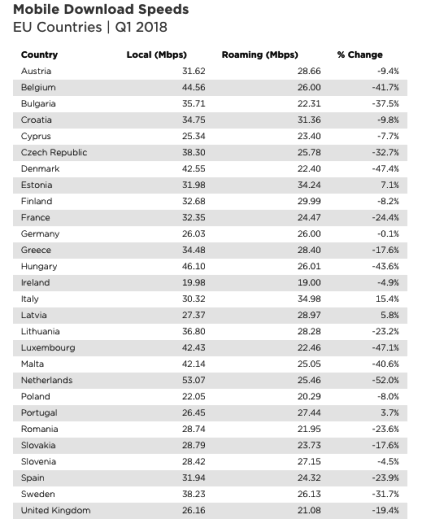 The average EU download speed when at home is 30.57Mbps but that drops to 25.50Mbps when abroad – a decrease of 16.6%. The data is based on consumer tests taken on Speedtest in the first quarter of this year. Many of the changes are quite erratic though. On average, German users only saw a 0.1% drop in download speeds while the Netherlands saw a 52% drop and Denmark saw a 47.4% decrease. 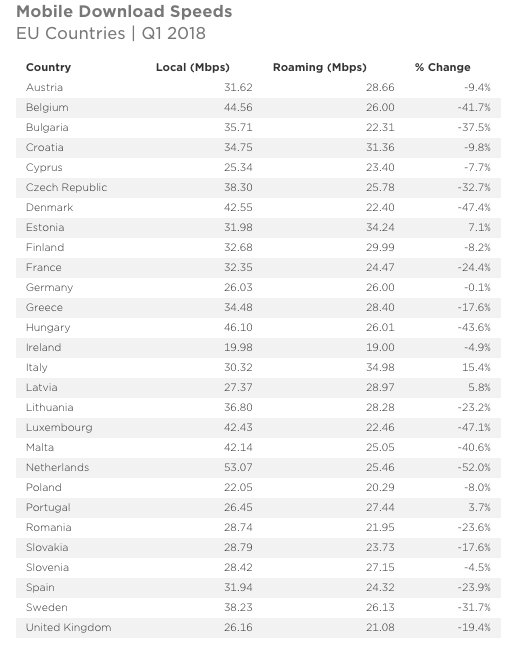 Some countries bucked the trend and saw speeds actually increase: Estonia (7.1%), Italy (15.4%), Latvia (5.8%), and Portugal (3.7%). See the full results below.